From the Tracking tab, click UPDATE STATUS. 2. Select the appropriate shipment status and press SAVE. From the Tracking tab, click DETAILS for the shipment needing updated. 2. Repeat steps 1 and 2 shown above in Panel View. 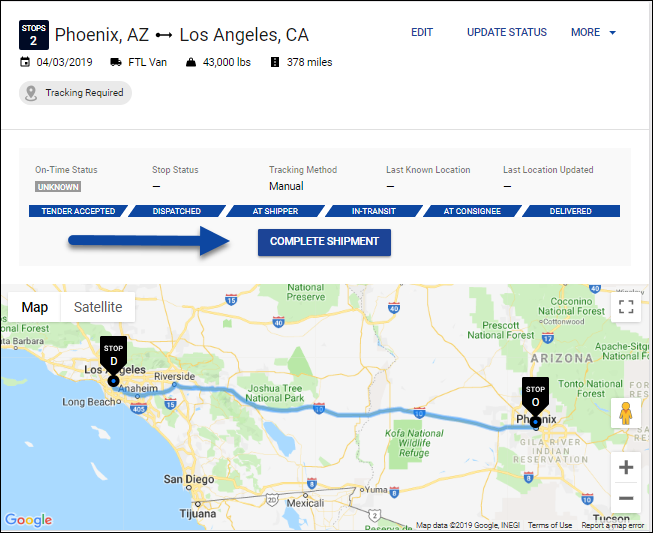 Updating the Actual In/Out arrival and departure times will update the Shipment Status of the load. Scroll down to the Itinerary section of the load in the Tracking tab. Select the pencil icon below Actual Arrival and Actual Departure. Enter in the dates and times, press SUBMIT. Once the shipment is marked DELIVERED, you can quickly complete the shipment by pressing COMPLETE SHIPMENT. This will move the load to the History tab. 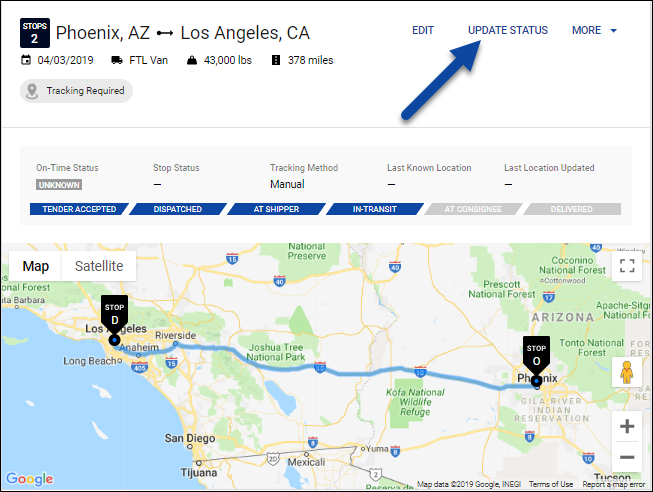 Updating the shipment status within Emerge is that simple! 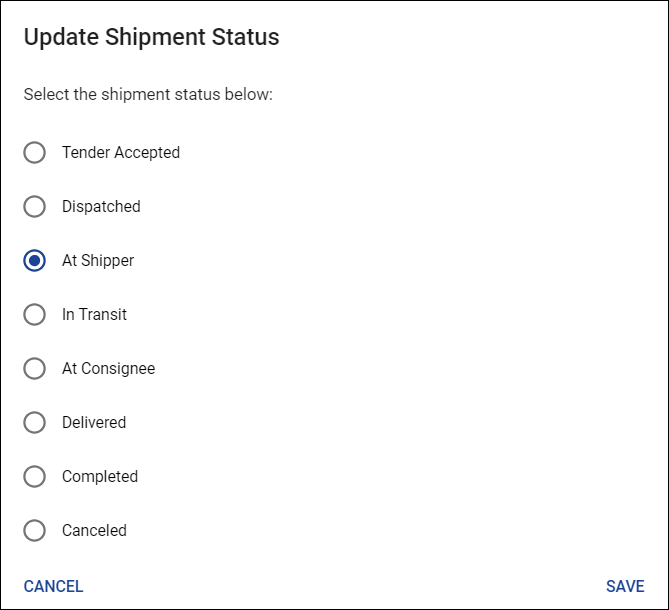 Note: Shipments can move back in status unless it has been marked *Complete*.